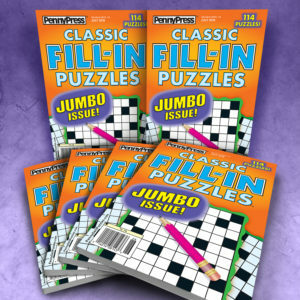 FILL-IN® PUZZLES are a fan favorite with bulk buyers. This unique puzzle combines the solving experience of crossword and word seeks making it a perfect solution to capture a larger audience. Repeat buyers tell us solvers use these to help stretch their vocabularies. Solvers delight in fitting in the answers without the need to decipher a clue. Available in Single-Issue Bundles, Multi-Issue Value Packs, Sampler Packs and Evergreens. 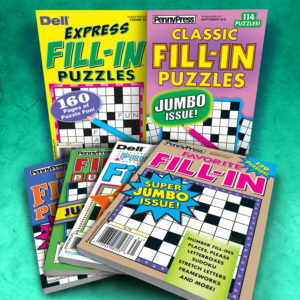 Fill-In® is a Registered Trademark of Penny Dell Puzzles.